This collection brings together deception scholars from around the world, coming from the various academic disciplines and sub-disciplines with different approaches and perspectives to contribute to answering the question about what constitutes lying and deception, its motivations and behavioral control. For instance, when is deception a deception; when do you know that someone is lying to you? 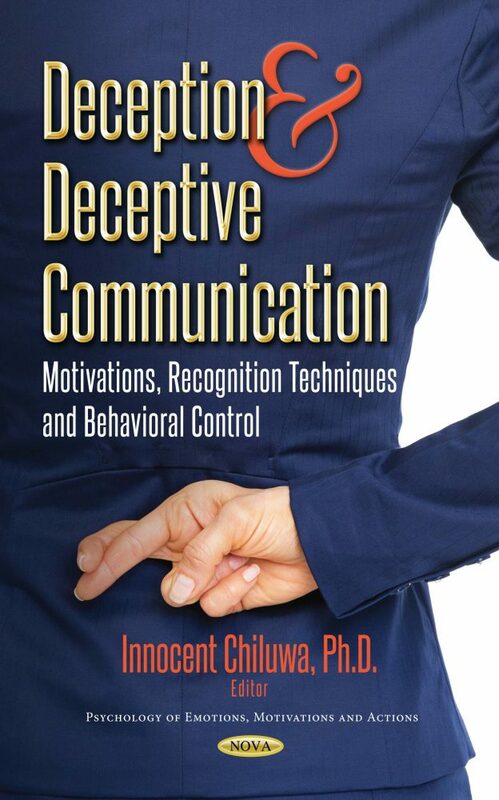 Can certain forms of deceptive communication amount to communicative competence? Can we indeed control deception? Hence, the chapters written by experts (most of them full-time professors) have examined theoretical and conceptual issues in deception studies, as well as case studies of deceptive communication and behavior. Topics such as Kantian absolute prohibition against lying; neurocognitive elements to build a cognitive model to analyze deception; the results of a competency test on judgements of child witness credibility; medical students’ deceptive behaviors in two medical schools; strategic deception in the age of “truthiness”; online deception through email business scams; and beauty and deception will certainly be of immense interest to deception scholars, students and practitioners in psychology, forensic linguistics, sociology, security studies, applied linguistics, journalism and communication/media studies. This book is highly recommended to be used as a resource book or handbook to students and scholars/practitioners of deception studies and all others whose research interests include deceptive behavior, deception detection and control.